Authorities believe two bodies found by hunters in Iowa this week are Lyric Cook and Elizabeth Collins, two young cousins who vanished in July. "At this time, law enforcement is confident, based upon evidence at the scene and preliminary investigation, that the bodies are those of Lyric Cook and Elizabeth Collins," Capt. Rick Abben, chief deputy of the Black Hawk County Sheriff's Office, said at a news conference in Evansdale, Iowa. Asked why authorities were so confident that the bodies were those of the two girls, Abben replied, "We have no one else that's missing in this area. We have two bodies that were found. They were smaller in stature so we have nothing else to think, at this time." Abben noted that the state's medical examiner's office in Ankeny, Iowa, had yet to complete the positive identification of the girls. Asked if the kidnapping investigation was now turning into a homicide investigation, Abben replied, "We are looking that way at this time." Lyric, 11, and Elizabeth, 9, went missing on July 13 on a bike ride in the small town of Evansdale, Iowa, near Waterloo, Iowa. After hunters found two bodies in a wooded area in Seven Bridges Conservation Area on Wednesday afternoon, the families of Lyric and Elizabeth were notified and the bodies were sent to Ankeny for positive identification. The families expressed "their gratitude to the community for their ongoing support," according to a statement released by authorities. Elizabeth's mother, Heather Collins, later posted a message on her Facebook page. 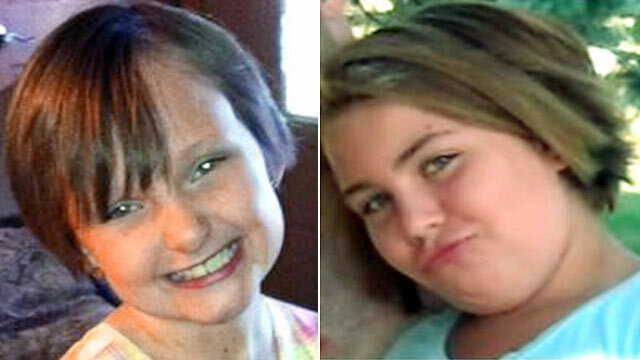 "We knew when our girls went missing that [there] would be two outcomes," she wrote. "Unfortunately this is not the one that we wanted but we know our girls [are] dancing with our savior. We know that he will continue to be with us giving us strength and comfort always." On Wednesday night, residents of Evansdale, Iowa, gathered at Meyers Lake -- where the girls' bicycles and a purse were found -- for a candlelight vigil. "It's hard to believe," said Lorissa Wilson, who attended the vigil. "I didn't want it to happen to the girls. They're too young to pass away, I believe." Mary Carroll, who knew Elizabeth, said, "You don't expect it for somebody so sweet and innocent." Another participant at the vigil, Holly Timmerman, noted that this was "not the outcome anybody wanted at all." The Seven Bridges Conservation Area will remain closed until Monday, Abben said.